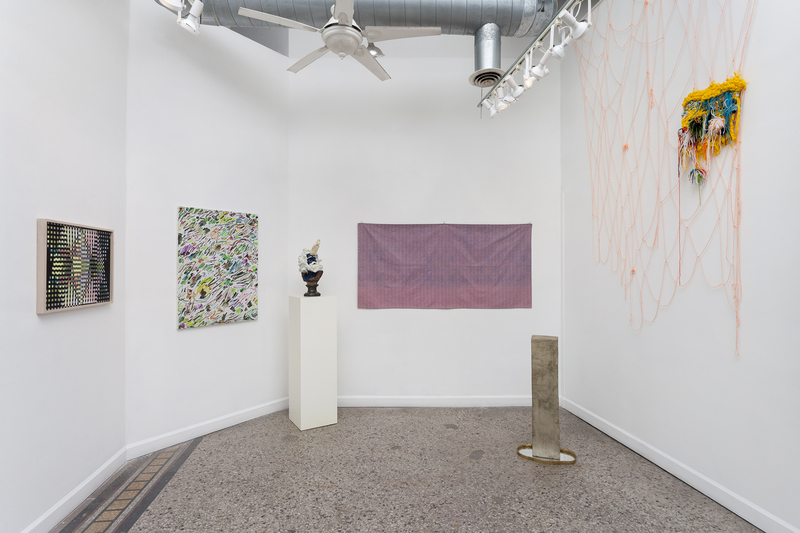 Installation view of “ROOTS” at Roots & Culture, Winter 2016 /Photo: RCH | EKH. If you are an artist or student new to Chicago, “ROOTS: 10 Years at Roots & Culture Part 1” is mandatory viewing. Run on good will, good friends and less-than-shoestring budgets, alternative spaces are critical to Chicago’s art ecosystem, presenting an alternate series of art stars, but they also shut down or simply vanish as operators “graduate, move away, chase bigger opportunities, [or] grow up,” as director Eric May puts it, making exhibitions like these all the more important. 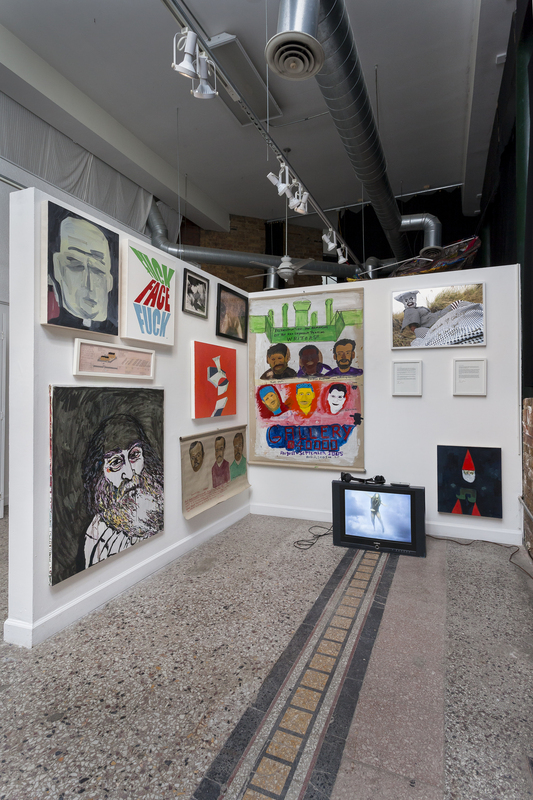 Acknowledging the long history of alternative and artist-run spaces in Chicago that it is indebted to, Roots & Culture celebrates its anniversary by showing work from artists loosely affiliated with four other organizations now defunct in some way; 40000, artLedge, duchess and Green Lantern (which lives on today as a press). The exhibition checklist contains a key that indicates all of the crossover between the artists and the different spaces—ironically, this generous gesture would be high treason in the commercial world. Amanda Browder’s “Cyclone,” made of an exuberant patchwork of recycled fabric swatches and kicking off a little cloud of cotton at the base of the funnel, initiates a kind of over-the-rainbow feeling to this show of alt spaces—no monochrome abstractions in this world. Around the corner, 40000 (care of Britton Bertran, one of the founders) presents a cohesive body of work from Bertran’s personal collection. A 2006 work from Deb Sokolow’s “The Drug Lord Mansion Estates” series conceptually rhymes with a gorgeous pen-on-paper by Josh Mannis, “Plants of the Gods 2: North African Hashish Smokers” (2007). One of the delights of shows like this is discovery; I don’t know who the Reverend Seymour Perkins is, but after this encounter I’ll find out.